Playing with friends and create an atmosphere of fun and busy would be part of your outdoor activities that do not forgotten. You only need to create a fun game and can be played by everyone. Game that can make all people enjoy the game strategy and at the same time make us refreshing. 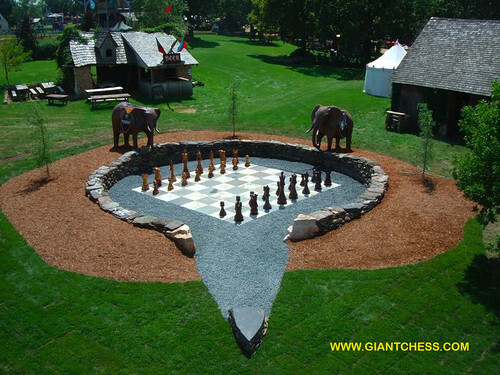 To help you, we recommend you chess game as interesting outdoor game. Playing chess outdoor is always interesting activity, especially with our attractive friends and family. To support the game, you need its equipment. You need the chess pieces and the board. For this need, we provide those are. We have giant chess pieces and wide enough chess board. Those have designed and prepared for outdoor use. So those are very durable for any seasons, because we made it from best quality of Teak wood.